Virgin Holidays may well have just become one of the most innovative holiday companies around, thanks to a brand new venture that has been built upon the success and the integrity of social media. The brand has created a platform for curated holiday recommendations. It seems that the platform will rely heavily on social media to tell audiences which holiday destinations and experiences are the most popular ‘in the moment’. Effectively, the service will identify ‘trending’ holidays. This means that, as long as the platform works, it will become a new opportunity to find truly trusted holiday recommendations. 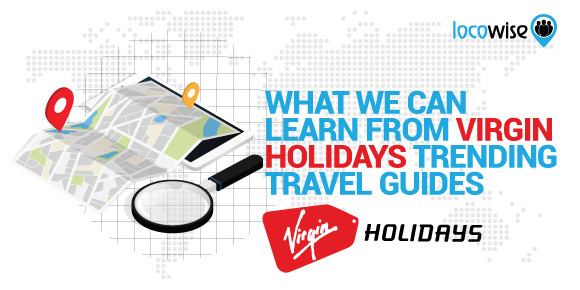 Before we dive into how the new service is going to work, we need to understand why Virgin Holidays felt there was a need for the product in the first place. Basically, it’s filling a real gap in the market. In recent years, there has been an explosion in websites and services that offer ‘trusted reviews’ of holiday destinations. Websites such as Trivago and TripAdvisor have created a new industry that ostensibly provides a wealth of reviews from holidaymakers. These reviews offer plenty of information and opinion on holiday destinations and hotels. Sometimes, destinations have literally hundreds of reviews. Over time, these reviews build up and are aggregated, so that a destination or venue has an overall rating. 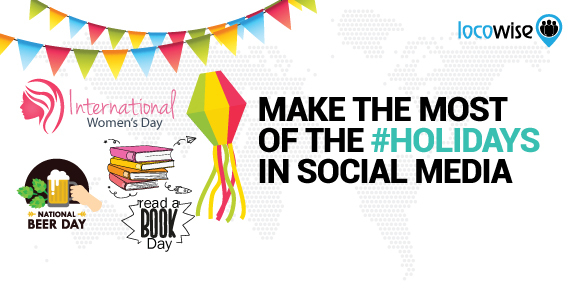 This is supposed to give holidaymakers a true picture of a holiday. This soon went wrong. Some reviews were identified as being false, created by hotels themselves or paid for by them to paint a rosier picture of the resort. Some providers paid for a number of good reviews so that their overall rating would be higher. On the other side of the coin, some providers have allegedly paid people to write negative reviews of hotels. And at one point, everyone started to suspect that many reviews were simply not honest. This created an industry (the hotel review sites) that began to lose trust. And that’s where Virgin Holidays comes in. Whether or not the holiday and hotel sites are being filled with lies, Virgin Holidays new idea is refreshing and seemingly quite honest. 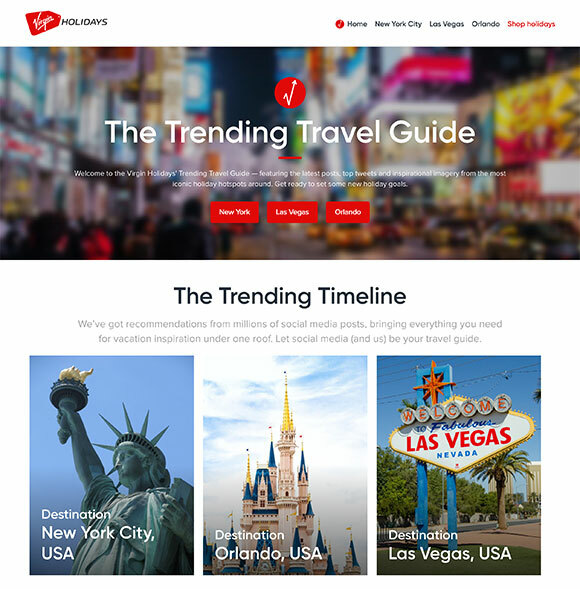 The new Trending Travel Guide is just that, a guide that people can dip into and find out which holidays are the most popular. And it makes perfect sense. If a holiday destination is trending, this means that people like it, that it’s popular. With more emphasis being placed on trust, if it’s possible to find destinations and venues that are being talked about in a positive way online, this should immediately lend trust to that provider or place. There are so many online conversations about holidays that curating it manually (or ‘window shopping’) is impossible. Having a platform that automates this and presents buyers with a clear picture of the most popular holidays makes perfect sense. James Libor, Senior Manager for Digital & Brand Partnerships, Virgin Holidays. The new venture uses a social media listening tool which will collate the volumes of social media posts around holidays. It will take out any negative sentiment comments and leave only positive ones. Then, the holidays and venues will be ranked simply on the volume of positive conversations. This means that users will see the providers that have the most positive conversations. It sounds incredibly simple, and it is. There could be problems too, of course. The sheer number of conversations could be so large that it confuses the listening tool. There could also be some issues around what ‘positive’ sentiment is in a conversation. Simply finding keywords that are positive may not actually be enough with more complex conversations. That all remains to be seen. But what’s important to remember is the fact that this kind of curation could well be a sign of things to come. Taking conversations from everywhere for other industries, if possible, could be a major game-changer. If you’re in any way responsible for social media at your company, you need great metrics. Try ours, and try them for a whole week for free. Go to Locowise.com and watch the magic happen.